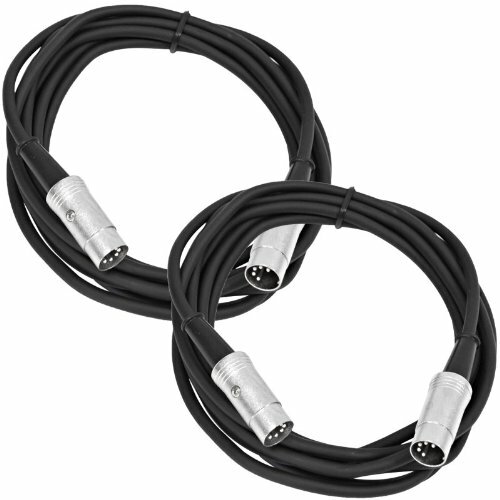 Pair of 10 Foot MIDI to MIDI Connect Cables - MIDI Interconnect Cables 10 Feet Model Number: SAMIDI10 (2 Pack). Serviceable Connectors. 5 Pin Din Connectors. 10 Feet Long each. Premium MIDI Cable with Metal Headshell. Brand New. One Year WarrantyThis MIDI cable can be used for all MIDI applications, such as interconnecting MIDI devices. They come with serviceable metal headshell connectors and are 5 Pin discrete wired. All Seismic Audio cables come with a one year warranty and a 30 day money back guarantee.. With your purchase, you will receive two of these cables listed and pictured above.